We’re speaking with Richard Hershey of WeReduceTaxes(dot)com, an expert in 1031 exchanges and their alternatives. We discuss 1031 exchanges in an easy-to-understand way — and how they help sellers defer the payment of capital gains taxes. However, because of the lack of inventory in today’s market, there is a lack of viable properties to exchange. Instead, his company has another alternative — a “Deferred Sales Trust.” He let’s us know in detail how the trust works and how it can be another option. 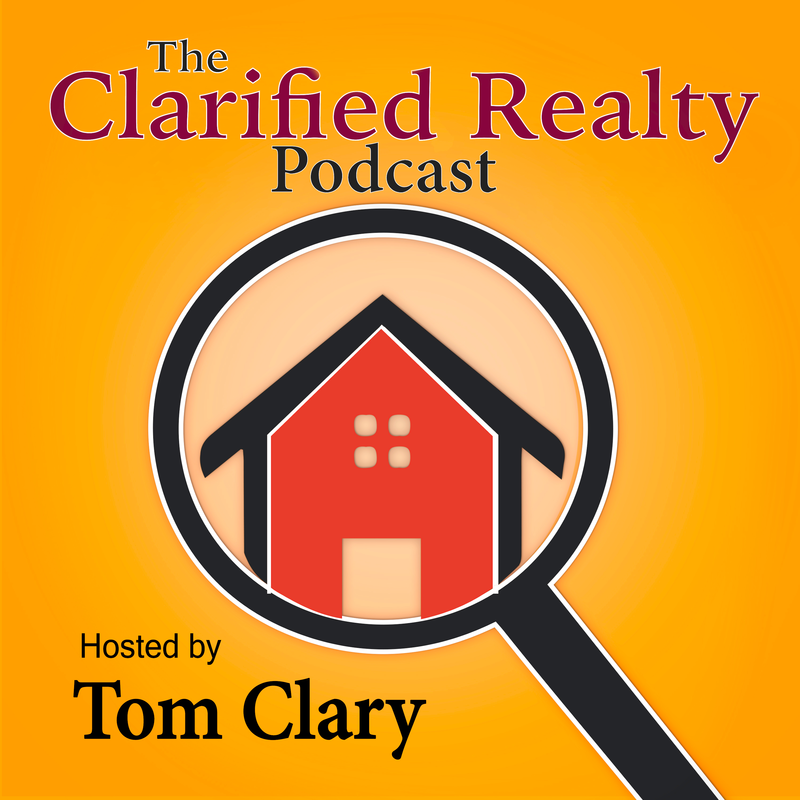 Announcer: 00:00:37 Welcome to The Clarified Realty Podcast -- exposing the real estate secrets your agent doesn't want you to know. Here's your host Tom Clary. Tom Clary: 00:00:56 Hi everybody welcome to The Clarified Realty Podcast. I'm Tom Clary and I'm your host! I'm a real estate agent here in the beautiful state of California, Los Angeles to be exact. Our good friend and constant cohost Ron Bruno is not with us today. He has fallen ill and is recuperating at home so it's just me today but I have a very interesting guest on today's podcast it's Richard Hershey of reduce taxes dot com. Tom Clary: 00:01:20 He helps work with investors to save money by deferring their capital gains taxes with alternates to the 10 31 exchanges or what are 10 31 exchanges. Well we'll get to that. So hold on a second. Just don't worry about it. But first off I want to thank you for coming. Richard thank you very much for being here. Richard Hershey: 00:01:38 Thanks so much for having me. Tom Clary: 00:01:39 So we asked this for everybody when they come in here for the very first time. So basically you know where were you before this and how the hell do you get. Tom Clary: 00:02:23 but I'm married to one. Richard Hershey: 00:02:24 You know but you know if you do your research and you do your due diligence you can surprise of what you can find out there. I started my career early in the healthcare industry and was a corporate executive for a long time and grew up in the merger and acquisition phase. So I've always had an interest in syndicated syndicated deals syndication and that type of thing. That led me to the TED 31 space which we're going to talk about here in a moment right. But what I realize is that the reason why some of the very large investors and very large companies are successful is that they take advantage of the tax code for you and I is just individuals. The tax code could be very onerous. Tom Clary: 00:03:09 You know there's especially now. Exactly. Richard Hershey: 00:03:12 Even more so it's more so that the confusion of the recent changes right in general. You know there's thousands and thousands of codes and then you multiply that by the state. That might be principalities and it could be. It's very easy to get lost in the weeds. Yeah I like to joke and say look the tax code has thousands of pages and thousands of codes. I'm just fortunate enough to know five or six really well right ones that really count. That's exactly right. So I've been blessed with an opportunity to uncover something that has actually been around longer than the 10 31 exchange and the way that we've been able to utilize it is very creative. But I want to stress it's two parts. One part is a tax code that actually is currently well over 80 years old and predates the ten thirty one exchange by almost 25. Tom Clary: 00:04:03 It's interesting. The other part I didn't know that. Yeah. Well we'll get to that is what he's talking about is basically what you guys emphasize which is trust. Well we'll get to that. Richard Hershey: 00:04:12 But but that I didn't know what they did was it predates the what it does and the the second component of it is a special vehicle which we'll talk about in a moment. And that actually dates back hundreds of years. Wow. Really. So we have a technique sometimes you know the old ways are still good ways and many times it's the better way. But maybe we could talk about the 23 wonders. Tom Clary: 00:04:36 Well let's get let's get to that because it's interesting and I'm so what was fascinating was when we first booked Richard here with you know to get a man here to talk to us. I was excited for numerous reasons. Number one the first reason there's 10 31 exchanges are completely kind of nebulous misunderstood thing within within agents and stuff like that especially like the younger agents and stuff like that. It's weird it's a weird idea of what a 10 31 is. So why don't you go ahead and explain what is a 10 31 highs that like have anything to do with real estate. Richard Hershey: 00:05:10 Thank you. Well you know 10 31 let's clarify what it is. It's actually technically called a Section 10 31 exchange and it's an actually a code within the IRS tax structure just as a side note it's important to know that tax codes are never named they're always numbered. OK. So in this particular instance this code is Section 10 31. The essence of attend 31 exchanges you can take property. So maybe you've purchased a four unit apartment building maybe 10 years ago and you're looking to perhaps sell that one of the in one of the issues that most sellers review when they consider selling an asset is the impact of taxes. Dr. when you sell an asset in the investment real estate space you're looking at a couple of different taxes. The big one obviously are capital gains. Right. We're in California and you know we pay a great privilege to be here in California. So we have amongst the highest tax structure in the country now. So currently capital gains rates are between 15 and 20 percent from the federal government right. They are the state of California as one in addition to the federal rate which is anywhere from eight point three to as much as thirteen point three percent. And now there is a recent addition over the past few years. I know this isn't a political show but depending upon. Tom Clary: 00:06:35 I don't know. We've had a couple of episodes that got a little bit but go ahead. Richard Hershey: 00:06:39 Well some people refer to it as the Obama tax. Technically it's called the Medicare tax right on real estate transactions in excess of 250000. There's an additional three point eight percent tax. So an example would be if you have a million dollar gain in the state of California you potentially could be as liable for as much as thirty seven point one percent. Tom Clary: 00:07:03 Right. So this is just kind of simplify things so let's say I bought a house I'm sorry some sort of investment property for a million dollars. It's now gone up to two million dollars right over the course of appreciation and all that. And I want to sell it and have to pay taxes on that million dollars that I actually just gained basically. Tom Clary: 00:07:23 And to the tune of thirty's. What do you say 37 30 cents. Richard Hershey: 00:07:27 Look you know percentages are easy to be deceiving. That's why the government likes to use them. I prefer to use dollars because that's what we pay. All right. So for an example on a million dollar gain you'd be subject to a 20 percent capital gain level and a million dollars that's two hundred thousand dollars. Now that's just to the federal government right. The state of California imposes a thirteen point three percent capital gains tax that's equal to one hundred thirty three thousand. Right. And then as I mentioned on the Medicare tax it's an additional three point eight. So thirty seven point one percent of a million dollars. Believe it or not. Three hundred seventy one thousand dollars now. Tom Clary: 00:08:11 Now if there is there are deductions though corrected for if you're like if it's a if it's a personal residence. Right. So it's like one is 250000 and one's for it for like a single person and 500000 I think for married. Is that correct. Richard Hershey: 00:08:26 Yeah Tom That's correct. Let me let me pause and review it. OK. Just because unfortunately I wish the thirty seven point one percent was just the stop of the taxes although there's more. Tom Clary: 00:08:38 But wait there's more. But wait there's more. Fortunately it costs more. Richard Hershey: 00:08:42 All right. So remember you know one of the benefits of owning investment real estate is the ability to depreciate the right now. Well that's great. While while you own it and you're earning income. Unfortunately when you sell it that level of depreciation comes back into the transaction and is now taxed. So the example we were using previously where you had a million dollar gain. Right. You would also have to recapture. So the term they use is depreciation recapture the tax on that is an additional 25 percent. Oh I didn't know that. Wow. Yes so we review it. It's 20 percent to the federal government thirteen point three to the state of California three point eight to Medicare and to the degree that you took depreciation of the asset. Right. It's an additional 25 percent of the amount that you depreciate. Right. So to put a number on it if you took one hundred thousand dollars worth of appreciation during the time you own the property. You know an additional twenty five thousand dollars in taxes. Wow. Now to shift gears for just a moment. You mentioned the primary residential ration rate which this doesn't apply to commercial. Tom Clary: 00:09:51 So this is all just about people who their houses gain money over the years and all that and they want to sell them right now for some of your older listeners like me. Richard Hershey: 00:10:00 They may remember that you may be the past you were able to exchange your home to another home of equal or greater value on a tax free basis. So you know many of your listeners may have parents or grandparents who are have that understanding that that's been gone for a very long time. What is replaced it is a primary homeowner you have what's called a Section 121 exemption. If you're single and you sell your home the first 250000 dollars of capital gains tax free if you're married that increases that exemption amount to five hundred thousand. Right. So if we use the same example we have a million dollar capital gain and you're selling a primary residence. The way it would work is if you're married you would be able to exclude five hundred thousand dollars from taxes and then you would be taxed on the additional 500000 dollars that remain. Right. So it's important to note that there is not a 10 31 exchange option for the sale of a primary residence. Tom Clary: 00:11:08 So that that tax it's only for investment it's only for investment. Richard Hershey: 00:11:13 You know typically a commercial real estate that type of thing right now. Tom Clary: 00:11:18 So let's explain it let's go a little bit more in-depth into what the 10 31 is then in terms of the exchange of property and the timeframes that you need to hit in order for it to work. Richard Hershey: 00:11:30 Be happy to. So obviously section 10 31 partner to Section 31 becomes very important because if you're considering selling your investment property it's either reached its goal or you think the values of an appropriate time to sell. One of the considerations that you're going to have to go through is the impact of taxes. So once you get the sticker shock about the amount of taxes and what you're facing you're going to look for alternatives. The most common recommendation that a tax accountant or a CPA or someone like that is going to give to you is to consider doing a section 10 31 exchange. Richard Hershey: 00:12:10 And really what that is the concept behind it is if you take property a and just give it a value of a million dollars you can replace it. You can sell property a. And then you can take all of the proceeds from that transaction. So in this case a million dollars and you can exchange it into property B as long as property B is of equal or greater value. So an example would be you bought something for 500000. It's grown to a million dollars of value and you decide to sell. You would have to replace it with another property that had at least a million dollars worth of value to the degree that you had any financing in place and any debt. You also have to replace that debt in an equal or greater fashion as well. And that part tips up a lot of people can. Tom Clary: 00:13:01 They just want to take the progress and reinvest that in the property. Richard Hershey: 00:13:05 And unfortunately that's not allowed. So to review quickly you take property and replace it with property B as long as it's equal or greater value. That's the first step. The second step is there's a time requirement in which you have to do this. So the government gives you 45 days from the close of escrow on property a to identify a potential replacement. Tom Clary: 00:13:31 Right. So I've got to sell my house. I put I put it up for sale let's say investment property. I put it up for sale with the guy and he's done. He knocks it out of the park he gets it you know in escrow after 20 days or whatever and then it's a fast cash escrow let's say it's only 14 days of you know escrow. So clock starts ticking when escrow closes correct. Not during the Ascaris. Richard Hershey: 00:13:56 That's correct. So what would happen is let's say you accept an offer on the first of the month and you close on the 15th of the month from the 15th going forward. You would have 45 days to identify a potential replacement. Now there's a couple of rules there and I won't get into the weeds there but the most commonly used one is the rule of three. So typically you're going to identify three potential replacements that you're confident that you're going to be able to close on at least one of those. So on the 45 day you're going to be using a third party third party is called and a commentator and you're going to identify one two three four main street as a potential replacement for one two three four South Street. And so you've satisfied the first requirement which is you've identified this potential property prior to the 45 days. Now the second part of it is you have a total of 180 days to close that transaction. Richard Hershey: 00:15:02 So it's just about finding Cerny en route but it's just about finding that property and getting in escrow so you have 180 days to close it right you have 45 days to identify it and you have a total of 180 days to perform due diligence and go through the inspections and financing and things like that. Richard Hershey: 00:15:20 If you identify a property and for some reason it doesn't close during that 180 days you know something happens you know no time you don't have escrows fall out but you know some have or some other folks I've worked with in the past that sometimes escrows don't close now. Richard Hershey: 00:15:40 And if that should happen when you're in a 10 31 exchange you've already missed the 45 days to replace it with another property and you did close the 180 days therefore you would have what's called a failed exchange and then the capital gains tax would now apply. Tom Clary: 00:15:57 So all of a sudden you're the seller is going to be very unhappy with you the agent because basically you didn't find that other property or it didn't work out right. Richard Hershey: 00:16:06 I mean absolutely and you know there's there's no there's no greater hornet's nest to be stirred to let someone know who intended to do attend 31 exchange. No they're not going to be able to satisfy. Right. So some common terms you hear at this time that get confusing and people may not know they've heard of it may not realise what they are. The 31 as often exchange referred to when you sell the property. Richard Hershey: 00:16:32 That's what they call the down leg and when you replace it that's called the up leg. I don't know why that started but those are those are common terms that are out there. So when you're talking to a potential agent or realtor who says oh don't worry we'll do a 10 31 exchange and I've got many replacement properties or I have the upper leg available for you that type of thing. Richard Hershey: 00:16:55 That's what they're talking about. Right. So one of the risk factors in doing a 10 31 exchange is when we take a market environment like we face today. Tom Clary: 00:17:05 Well that was about the say is it. Inventory is so low nowadays that it's sometimes very difficult to find alternates. Richard Hershey: 00:17:11 It very much is so I have some live examples where the west side of Los Angeles for example. It's a very competitive market multiple offers often over and above the asking price and things like that. So you have to remember that you're competing. So yes your property might be fetching a significant value you're going to recognize a great property profit but you have to recognise that you're competing with other buyers for a replacement asset which is good because competition is what is driving the release prices. Absolutely. Richard Hershey: 00:17:50 But you're also buying. Richard Hershey: 00:17:52 So I like to make a little joke I said look you know right now the price of doors and dirt is very very elevated and you know you might have purchased your investment property at a time when the rate of return. A lot of people use the term cap rate or the rate of return that you getting might have been in the 7 to 10 percent range which is often a very attractive market for our investors to make a purchase or to invest in real estate. Richard Hershey: 00:18:24 Well it kind of works like a seesaw. So when the value of existing real estate goes up that inherently drives down the cap rate because the cash flow remains constant rain. So if you bought something at 10 percent and it was a million dollars and now the value has gone up to a million five maybe your cashflow is only now yielding a 5 percent rate of return on a larger number. But it's the same cash flow rate. So if you sold that you might not be able to replace it with another asset that's replacing the present rate of return that you're looking at the cap rate. Richard Hershey: 00:19:04 So everybody wants to sell their property at a three cap and they want to replace it with a catch. So that's where a program like ours has been very instrumental in helping those investors that use it take advantage of the elevated pricing and move their assets out into an alternative structure. Tom Clary: 00:19:30 So what they tend to be ones that kind of stay here for just a moment longer to just kind of get an idea one of the things that I found the kind of the most confusing aspect of this thing when I was first kind of getting to know them was what kind of scenarios what people want to do this like why are you just doing it why are you just moving things around. It sounds to me like you just have another investment property that's now worth the same. The you know I mean it's and that's a good question. Richard Hershey: 00:19:57 So the 10000 31 exchange has been a valuable tool when you're able to maybe skip a market cycle. So let's give an example. I think there are a lot of people would agree that the real estate market has peaks and valleys. So maybe you were fortunate enough to acquire a property maybe two cycles ago. So maybe you bought something I might say 20 years ago and you bought it for 250000 dollars instead of 500 and now it's worth a million dollars. Well what people will do is you know you want to always buy low sell high which is very difficult and the premise of a 10 31 exchange is as a vehicle to take advantage of that. But to do it efficiently and to really capitalize on properly the longer you hold the property that you're relinquishing the better off you're going to be and trying to replace your values. So to set a little bit better you really have to do the math because you're right. So what it forces people to do often in a very tight market like we're in today is they're looking towards taking on maybe unnecessary risk or unfamiliar risk to them. Richard Hershey: 00:21:13 So one alternative might be you can sell your apartment building in Santa Monica and get it maybe sell it for a three cap and then an agent typically from a large national firm will say I've got affiliates in other markets. Tom Clary: 00:21:27 How do you feel we have a 10 cap property available so it's more about switching to a place where that kind of the cap rate you can gain there or you can do something that somehow gives you an advantage Exactly so you know you might want to. Tom Clary: 00:21:40 It's not just about this cost this one in this one case you're looking at the actual you know the NECI and looking at it going oh I can probably get another like that. Exactly. Richard Hershey: 00:21:49 You're forced to take on different risks of one of them is location risk. So you know I'd have a hard time convincing someone to sell a property in Santa Monica for example and reinvesting maybe in Greeley Colorado or Austin Texas really but you know a lot of people do it. Richard Hershey: 00:22:07 So they look for value added opportunities across the country. That's a certain type of investor. Real estate tends to be a local business and people are attracted to owning investment real estate because they can touch it. Richard Hershey: 00:22:20 They can see that they can drive by and many of our listeners know they enjoy the repair work. They like working the property they like knowing the tenants and they like the aspect of running that business. They may not be inclined other opportunities that come up or what you are quoting right now but what they do look for what they call value ads. So maybe you would buy new you sell a property in Santa Monica and maybe you go to an area like Stockton California that's undergoing a renaissance of through a renaissance and you might be out to get something there and if you're the kind of person that can throw a coat of paint up and you know maybe do a unit with the carpets and their appliances and things like that. And you know you you add value to the Trinity. That's good. That tends to be a younger investors game right as investors age they're less inclined to do those kind of risky recordable riskier things. Exactly so you know there's no free lunch there's especially today with the type of data that's available to agents and investors. There's hidden gems out there but there are much more hidden than they used to be. Yeah. It's more difficult to find those those hidden hidden opportunities right. Tom Clary: 00:23:32 So now what's interesting and what you kind of specialize in though is not 10 31 exchanges it's an alternate ten to ten thirty ones. Tom Clary: 00:23:41 Once you explain a little bit more about that in terms of maybe why would anybody want to if this is some sort of interesting thing where you can switch things up in order to get maybe a higher profit or something like that. Okay great but why would I want to do something else. So let's start with what your alternate scenario is. Richard Hershey: 00:24:00 Sure. Tom the program that we market is something called the Deferred sales trust. Tom Clary: 00:24:06 Now remember before you start going on the Internet and looking at the EIR IRS the IRS there's no number attached there is no number attached to it. Richard Hershey: 00:24:13 This is just the proprietary name that we trademarked and we refer to it as the deferred sales trust but in essence what it is. Tom it's a vehicle that allows someone who owns real estate to sell that real estate keep that transaction tax deferred very similar to what a 10 31 exchange does. Remember when you sell your property from property to property b you do that on a tax deferred basis. And I'm going to stress that we're deferred right often. Richard Hershey: 00:24:45 Right. So the deferred sales trust allows you to sell the asset. Keep that transaction tax deferred and then at the close of the transaction you have access to those funds to be deployed or invested into other things that may not include real estate. Richard Hershey: 00:25:07 For example you could sell a 4 unit apartment building and at the close of the transaction you could take the proceeds from that and maybe invest in your business or maybe you have a child that you want to help them get started in in a business or something like that or you can invest it in with professional money managers and get a rate of return and get to turn it into income to replace the renminbi losing the point of it is there is no requirement that you replace that property that you're relinquishing with a new property. Richard Hershey: 00:25:41 So in the 10 31 exchange you sell property a you must acquire property be deferred sales trust you sell the property. The transaction is tax deferred. However there is no requirement that you replace it with any real estate whatsoever. Tom Clary: 00:25:56 So what are the mechanics behind that. How is that what's basically how that works. Richard Hershey: 00:26:01 OK Tom Well what I'd like the audience to do here and we'll pause for just a second here why they why they shuffle their papers if you could do me a favor because it's very hard over the radio here to get a visual. Richard Hershey: 00:26:14 But if you grab a piece of paper and a pencil and draw a triangle. So what you want to make that triangle big enough to put some notes around it makes it a little bit easier to follow sort of the mechanics. Tom Clary: 00:26:29 So I hear a lot of paper shuffling in the background that are not expected or are satisfied. Right. Richard Hershey: 00:26:35 So what you want to do is you want to look at your triangle and then in the lower left hand corner of the triangle you're going to see a spot and you're right. The word seller on the lower right hand side of your triangle. I would like you to write the word buyer and then at the top of the triangle I would like you to write the word trust. Now in any real estate transaction as you know Tom there is a buyer and there's a seller. Richard Hershey: 00:27:04 And the first thing they must do is they need to agree to terms and conditions and credit terms and conditions is really the price and the terms of escrow. So in other words I'm going to buy your building for 2 million dollars and we're going to close in 30 days. So that would be an example of terms and conditions so a way to remember it is to draw a two way arrow between the seller and the basically it's a transaction where people are talking to each other to talk to each other and they shake hands shake hands. Richard Hershey: 00:27:31 Right. So as you know when you shake hands in real estate generally a contract follows and the process that follows is called escrow right. Richard Hershey: 00:27:41 So step number one a two way arrow at the bottom of the triangle that points towards the seller and the buyer. Step number two we're now entering escrow. So during escrow what's going to happen is that this property is going to be transferred into a vehicle called a business purpose trust. Richard Hershey: 00:28:03 Define that. What does that. There's many types of trust and a common question I get at this point Tom is while I already have it in a living trust Ramly trust look my my wife is a willand trust attorney so basically I understand a concept and we talked about she was she was on the podcast. It's basically about putting her house in a trust so that basically when you pass on that trust is not its kind of independent and it moves to whoever the beneficiary is correct and I'm sure as your wife mentioned a living trust or a family trust which is what most of the listeners are probably familiar with. A vehicle of transfer. Richard Hershey: 00:28:37 It does not have any inherent tax benefits to it. There's a common misunderstanding that by having a living trust there's some tax benefits to that to it and that's not true. Richard Hershey: 00:28:49 The main the main benefit of having a living trust is that you avoid the probate processes that are associated with that too. Correct but there is no inherent built in tax savings a business purpose trust however is a trust that's created to be a legal entity and to execute the function for which it's been designed. In this case it's to own and operate an asset for a profit which would be the property which would be the property and or the assets or whatever remains. Right. Richard Hershey: 00:29:21 It can be anything it's in there. Right. So at this point we would create a business purpose trust on behalf of the seller and create a tax I.D. number for the for the business purpose trust and then at some point the seller is going to actually physically transfer the property into that trust. And as I mentioned earlier it doesn't matter the current form of title. Because when you really think through the transaction it's getting removed from whatever vehicle it's held in now and it can be transferred to the new buyer anyway. We're just taking an interim step here and transferring the property from the seller into the business purpose trust. Now escrow will commence and there's going to be contingencies that need to be satisfied and things of that nature. And the ones that we look for to be satisfied. So we have a good indication that this deal is actually going to close is when the inspection the financing and the appraisal have been satisfied and the seller is signed off on those and the buyers signed on. Richard Hershey: 00:30:27 We know we're going to close. Right. So at that point the trust will then complete the sale with the buyer. Okay. So step number 3 you want to draw a downward arrow from the trust to the buyer. During that process the property is now inside of the trust. So it's important to have that takeaway that technically right now the trust owns that property right and will actually convey that to the buyer. So if you take your pencil and you draw a dollar sign inside of the triangle that would really represent the buyer's consideration or otherwise known as their cash rent. So they're going to make a purchase and they're going to use either a combination of cash and debt or in today's market. Many people are doing their transactions with all cash at any rate. The money gets deposited into escrow escrow is going to do what they like to do which is net out the transaction. They're going to pay off any mortgages they're going to pay the fees or commissions or taxes or all the different things that go through the escrow process. Now at the conclusion of escrow the buyer gets the property and then the escrow officer is sitting there with a check and they have to make a determination of where that check. Right now in a residential transaction often the check goes directly to to the seller and they take it to the bank. They deposit it and they wait for their silent partner. Tom Clary: 00:31:56 Otherwise known as the taxing gas right. Richard Hershey: 00:32:00 They come in to come and get their share in this transaction. However instead of sending the money directly to the seller the money actually goes to their previously established business purpose trust trust. So the trust gets the check. And that's a very critical element of this transaction and the reason for that is that there's two parts to capital gains. So when the solar cells that they've incurred they'll tax liability of the capital gain. But they have not recognized it. Richard Hershey: 00:32:32 So it's getting a little technical here but the gist of it is as you can incur the tax liability but the IRS doesn't feel that you've recognized it and you've actually touched the cash. Tom Clary: 00:32:43 Well you're not taking advantage either you're not putting it in your bank. And you know then it becomes income or whatever it is. Richard Hershey: 00:32:49 Yeah the catch phrase is what they refer to as constructive Risi. Right. So if you haven't had constructive receipt technically you haven't recognized that that game could get a little bit in the weeds and again make sure you check with your local tax accountant and tax attorneys and such to verify this information. Richard Hershey: 00:33:07 But the point of it is is that the money goes to the business purpose trust and is now held by the trustees of the business purpose trust that makes the money tax deferred. And I'm going to use the word tax deferred. Richard Hershey: 00:33:24 Now Tom no matter how often I say that word tax deferred and I meet with somebody and we go through this process for some reason tax deferred always translates into tax avoidance no taxes. Tom Clary: 00:33:38 OK so putting it in the what is an offshore account and Bermuda. Exactly so they get you know for some reason it doesn't translate the price they only want to hear what they want to hear. Exactly. Richard Hershey: 00:33:50 We stress that it's tax deferred and tax deferred. You know I've shared with my son who's a recent New attorney and I said Well let me explain the difference to tax deferral. We all go to dinner tax avoidance we all go to jail. Tom Clary: 00:34:06 Right exactly. Little so little subtle difference. Richard Hershey: 00:34:09 Exactly. So I stress the word tax deferred right now Tom. Richard Hershey: 00:34:13 That being said the money is now inside of this trust and the trustees of the trust now have access to it and they will typically deploy that. Remember I mentioned that the vehicle that we're utilizing is something called a business purpose trust. So you know again to kind of whittle it down into common English here. The purpose of this trust is to own and operate the assets of the trust for a profit. Right. Tom Clary: 00:34:41 That's air quotes here the business purpose of that so just kind of not to jump ahead here but I would assume that that means that then you can take the funds that are inside that business trust and invest them in a different way and all that and then you're getting some sort of income off of that correct. Richard Hershey: 00:34:56 More or less yeah. So we'll talk a little bit more in detail about that. Tom Clary: 00:34:59 There are some new jobs but I'm getting ahead of you are so excited. Richard Hershey: 00:35:03 It is good but just a review the process here so everyone's clear and attend 31 exchange. You sell property. You take your 45 day window and you find a replacement property you identify that replacement. And you have 180 days to close it. And as long as you do that and the replacement property is of equal or greater value that transaction result in tax deferral of your gain in the deferred sales trust transaction your transferring the property into a business purpose trust and the business purpose trust is executing the transaction with the buyer. The proceeds now belong and go to the business purpose trust. Tom Clary: 00:35:48 I'm sorry to interrupt really quickly before with a 10 31 you had said that it was that it was only for investment properties is that same kind of thing apply here on these as well. Or is it can it be permanent residents. Richard Hershey: 00:36:00 I'm actually Tom it's one of the advantages of the deferred sales trust. It actually is for an asset. So the asset could be something like a primary residence going interest be an apartment building that could actually be. There is no distinction and no it could be a business. It could be an airplane just it could be art it could be a classic car. Oh wow. Yeah so it's really it's really anything that results in a capital gain. Richard Hershey: 00:36:27 There is some sort of getting over the past years you've made some sort of appreciation on it. Yeah typically you know the one thing that it doesn't do is in the case of selling common stock and things like that that would not be something that would be eligible. Got it. We're generally on almost any physical asset. Got it. There are some nuances there. Richard Hershey: 00:36:46 But now for our purposes here today. Got it. It's pretty it's pretty broad. But to review where we were the the result the end result of the deferred sales trust transaction really benefits with tax deferral. Now I want to digress for just a moment because I know there are some people out there they're going to do some research here and they're going to look this up and they're going to want to know OK Tom what's this guy talking about. And I want to go back to step number one because this is really the critical element of it when the seller transfers that property to the trust it's actually transferred through a section of the tax code referred to as Section 453 under Section 453 of the tax code which I had mentioned earlier actually predates section 10 31 exchanges. You are executing something called an installment sale. A lot of people use the term owner financing and things like that. But a broader definition is really an installment sale. So examples of installment sales could be something where you go to your local car dealer and you put a few thousand dollars down and you buy the car and you drive off the lot and you make payments over time that is an installment so you go to a furniture store and you buy a couch and you give them a deposit. And you make payments over time. That's an installment sale. Many real estate transactions are in installment so you buy property and you put a down payment on and you make payments over three years. You're making regularly scheduled installment. One would help. Exactly. So we U.S. 453 of the tax code to execute an installment sale between the seller of the property and the trust which is the buyer of that property. So the example I like to use is one where the seller sells the property to the Trust for two million dollars in exchange the seller receives an installment note for two million dollars. So now the trust owes that seller two million dollars and they typically will agree to you know a term. Richard Hershey: 00:39:01 We're going to pay you two million dollars in ten years. And along the way we're going to pay you 5 percent interest. That would be an example of cost almost right. So balloon payment at the end. Right. So the end result of that. Now the trust owns the property right. Right. The seller sold it to the trust the trust bought it from the seller using in installments. This is the transaction that's done every day and has been done for hundreds of years. The trust now owns the property. There are bases in the property is now two million dollars. That's what they paid for. They turn around and they actually sell it to the buyer for the same two million dollars. So there's no gain to the trust at this point now. So the buyer pays the 2 million dollars that two million dollars goes through escrow and now ends up in the business person. Tom Clary: 00:39:51 That's how you get that deferral is that it's the two million equals two million. Richard Hershey: 00:39:54 Exactly. Interesting. OK go ahead. OK. So now the trust owns the property and has the asset inside. So many of your listeners might be scratching their head at the moment say Richard. Let me get this straight. I transfer my property to the trust and then the trust sells it to the buyer and then the money goes to the trust. And all I have is a piece of paper. And Tom that is correct. Tom Clary: 00:40:19 Yes. OK.
Richard Hershey: 00:40:20 As a matter of fact yes so we want to make sure that they recognize that they are executing what we would refer to as owner financing. OK. So a more common use of owner financing and real estate would be Tom and I agree to a deal. I'm going to give him five hundred thousand dollars down on this property because that's what I paid for it and it's worth two million. Tom I'm going to pay you 150000 dollars a year for the next 10 years and I'm going to pay you 5 percent interest on that balance. So that would be an example of financing a little down right. Make payments over time right from a tax perspective the way that that would be treated if your original purchase price of the property was 500000 and you sold it for two million you roughly have a million one point five million dollar gain. Right. Right. So you would be subject to capital gains and we discussed some of the rates with that would. Right. Right. So your basis is always tax free and your gain is always going to be taxed at capital gain and you know we talked about depreciation and the impact of that as well. Richard Hershey: 00:41:27 Well just to keep it simple if I paid you 150000 dollars a year over the next 10 years each year when you received your 150000 dollar payment plus your 5 percent interest generally the way the tax impact would be as follows you'd be subject to capital gains. From the federal government you'd be subject to gain by the state of California and possibly depending upon the amount of the transaction. You may also be subject to the Medicare rate capital gains as well. And then we mentioned depreciation where that applies. So we view this as having two risks. All right and owner financing Tom what do you think one of the main risks are foreclosure foreclosure. Right. What we refer to as the foreclosure risk the the downside in the transaction with owner financing really rests and belongs to the seller so the seller is really taking the risk in owner financing. Richard Hershey: 00:42:29 Now you might be scratching your head at the moment here and say wait a minute I sold it I'm going to get two million. All right. Well not everybody makes it through all the way through all the way through that cycle right now if you're a younger investor you know selling a property and then taking it back through the foreclosure property and things like that. That's certainly inappropriate risk. And in many cases it's actually a strategy that many young investors use to grow their portfolio. Well when you're older and you're selling your portfolio you may not be as anxious to take a property back. Tom Right. As you and I both know is old gray beards here. Most people do not default on their real estate and up markets. Now usually the other way. Exactly. So what we like to say is look you know all the upside in the in the transaction for owner financing really belongs with the buyer. Richard Hershey: 00:43:22 All the downside risk really belongs to the seller and the best that could happen to the seller is that the buyer satisfies the terms and conditions of their agreement. Right. Well we think there's a hidden risk. Over and above that of foreclosure or default is more accurate. Right and that is we think there's reinvestment risk because when you close that transaction the value of the property to the buyer is two million dollars and the value of the property is what you don't now. Richard Hershey: 00:43:54 It's really the cash that you got you got five hundred thousand. Right. And you're getting your payments over time over time right. But you don't have two million dollars now you don't have the two million dollars. Tom Clary: 00:44:04 Right. So you can't go out and realizing that losing that money that you basically is not in your pocket you're losing the access got that money to deploy in another way. Richard Hershey: 00:44:13 Right. Totally. So we think you have what we refer to as reinvestment risk right. So as you get that money you are taxed and as you get it you're getting into bits and pieces right. You may not be able to deploy it in a fashion. Tom Clary: 00:44:27 So in theory I don't. If you have two million dollars in your pocket that's going be a lot more powerful than having five hundred grand and Eubie. You want to be making money on 200 million not on 50 500 plus 150 each year. Richard Hershey: 00:44:40 Exactly. Got it. OK. It makes total sense right. So the deferred sales trust results in a position where the seller of the property now has two million dollars working for them upfront. And they had the money they done the buyer has the property and the seller has the cash or the cash is actually technically belongs to the trust and is inside of this trust. Tom Clary: 00:45:08 Right. OK. So basically that money is cooking up there and you can put that money where to work basically. Richard Hershey: 00:45:15 And that's one of the that's one of the the benefits of having the money inside of the deferred sales trust is that the trustees of the trust they now own the asset with that asset could be cash secured investments it could be no other vehicles but typically it's going to be cash in the beginning. Richard Hershey: 00:45:34 The trustees of the trust are now able to invest that money in such a way that it generates a rate of return to satisfy the installment contract that I mentioned previously. Richard Hershey: 00:45:46 And you know the trustees are hopeful that they're going to grow that and they could participate in the upside of the growth of the trust. So that's the that's the benefit to the trustee is that the trustees able to enjoy the upside of that transaction. Tom Clary: 00:46:02 So is it there. So let's say you've got 2 million that's earning 10 percent or whatever. Just to make the math easy. And so are is that 10 percent coming down to the seller at that point or is it staying in the trust. Richard Hershey: 00:46:16 Yeah I've got a better example memorized I'll use I'll go for. So it's a fair question so let's assume we have 2 million dollars in the trust and you know today's market people I think would be happy with a 5 percent rate of return. So based on a 5 percent rate of return that would be one hundred thousand dollars a year right. That gets the part of me that gets distributed to the to the seller. So that hundred thousand dollars a year comes out and that's going to be taxed on behalf of the seller at ordinary income rates OK which is significantly lower potentially depending upon their overall situation. So they couldn't count well that they could take advantage of the tax rules that everybody is trying to get their arms around. But that being said so they now have a hundred thousand dollars a year of income coming in. Richard Hershey: 00:47:07 It's going to be taxed as ordinary income just like any other investment to them would be. Tom Clary: 00:47:12 And a silly question but because there's such a significant now difference between corporate taxes and individual taxes can corporations do these trusts are now. Richard Hershey: 00:47:22 You know that's that's probably something a tax attorney is going to be able to ascertain and you know with the new rules being in place and because I was just wondering if there's that because I would assume a lesser impact if you a company if you can. Yeah most of the most of the transactions that I'm familiar with have been really through and by individuals. Got it. Now that being said you could sell your business and things like that. Right. But ultimately it's it's the owner the individual owner that benefits from this kind of transaction. Corporations got a lot under this new deal they did a new tax the tax passage here anyway. Richard Hershey: 00:47:57 But I want to get back to the incomes the income the interest or the income being paid to the seller is going to be taxed as ordinary income. That 2 million that's behind are what we refer to as the corpus of the trust that's going to be tax deferred. So as long as that remains inside of the trust it's in a tax deferred status. Right. So let's say some time goes by and the seller decides that they want to have access to some of the principal or the corpus of the trust. So they work with the trustees of the trust and there or they orchestrate what we refer to as a distribution check. When they receive any distribution of principal. It's going to be tax the following way. It's going to be subject to capital gains taxes. So everything happens on what we call a pro rata basis. So the exact detail of that what is that. So the example I think we use they bought the asset for 500000 and they sold it for 2 million. So technically the basis would be five hundred thousand five hundred thousand two million is twenty five percent. So let's say they took out a hundred thousand dollars. Twenty five percent of that 100000 or 25000 would be tax free the 75000 would be taxed on a pro-rata basis. Now one of the advantages to taking it out in installments over time is that capital gains are in a tax on a sliding scale. So you buy that instead of taking the lump sum like you would have in the beginning and we talked about the impact potentially as much as thirty seven point one percent in taxes. You might be subject to much lower rates because you're taking it out in smaller increments and you may not reach the maximum levels of each one of those so it's like a sliding scale. Tom Clary: 00:49:47 Thirty seven is the max rate that's currently that would be the max. Right. But if you're bringing it out in chunks you're not getting that big like such a big bite each time. Richard Hershey: 00:49:57 Right. Like we review makes sense exactly so we reviewed in the beginning that you know it's a start. It makes total sense. All right. So they started at 15 percent go to twenty nine point three and go to thirteen point three is that right. You know often I struggle with the conversation I'll tell someone look instead of paying 37 percent in taxes maybe we might get it down to 25. We're going to save me 10 percent or 12 percent. No what we've actually done we saved you like 30 percent in your tax liability right. Right. So we we try to we we try to clarify it as much. And that's where the you know what do they say about statistics. You know you can make them sing or dance. Right. What you what you need I mean exactly. Richard Hershey: 00:50:42 So but in real dollars and cents it's been my observation that people generally are going to pay a lower overall tax when they pull the money out over time. Richard Hershey: 00:50:54 Got it. Got it. Tom Clary: 00:50:56 And I would think that it is another advantage to going this way because you know in terms of for a couple of things. Number one because we'd kind of chatted about how there's so few there's so limit story out there right. So doing a 10 31 you might end it there's a much higher chance you're not going to be able to do a swap of property to property. It's just it's just a little bit more difficult or a lot more difficult. Actually though the market the way it is number one. Number two this is a great advantage because what if I don't want property. Tom Clary: 00:51:29 What if I want to sell my my investment. And I just don't want to be a property manager anymore. I want cash I want money. It helps them that way too. Correct. Richard Hershey: 00:51:41 You know Tom I think I just heard a bunch of screeching brakes and you know stopping in their tracks you know this is an audience full of real estate investors and even indicate for a minute that no one wants to own real estate. Tom Clary: 00:51:55 How could you. Tom blasphemy. Buy and hold, folks.... Buy and hold. I say that but you're right. Richard Hershey: 00:52:03 Sometimes circumstances dictate that that people consider you know either diversification. For example maybe they have more real estate than they probably should relative their risk or their age or their physical capabilities rise like that. To be frank a lot of the people that I talked to who expressed interest in this they fall in a category often where they may not be the professional long term real estate investor. They purchased real estate as a tool. Their idea was to purchase it for retirement. Tom Clary: 00:52:37 And lo and behold here is retirement and that kind of thinking about where their grandpa is tired of climbing up ladders and fixing light bulbs and doing stuff. And it's time to just kind of go and play some golf. Richard Hershey: 00:52:49 Absolutely. And unfortunately in today's today's world another thing that's happening is people are holding their assets longer working longer. Right. And I see a lot of situations where you know a couple husband and wife owned and operated the property for a while you know often it was the husband maybe who was doing more of the physical manual labor at the property and things like that. And you know unfortunately they may have suffered a health issue or they're in decline. And you know the wife or the children don't really know the property as well. They don't really want it. They don't want to be collecting rents a middle of the night and we hear plumbing knowing exactly. So it's an opportunity or in many cases with the with the significant appreciation that we've seen in the real estate market. Richard Hershey: 00:53:36 A lot of times the value of the asset is really outpaced any and all of their expectations and maybe the property needs repairs. Maybe it's you know it's a value an opportunity for someone else but maybe this family or their current owners just don't have the capacity to execute a value add situation. Now they don't have the cash or the credit or they don't want to deal with it or as blasphemous as it sounds they're just tired of owning real estate something else. Right. And they want to they want to enjoy the beach and do other things. It's a great exit strategy. I'm fond of saying when the moving parts line up this is an alternative that could be considered surprisingly another area that we're beginning to see more and more of of our clients and their advisors use us for is really a 10 31 exchange backup. Tom Clary: 00:54:31 And that makes sense to me maybe just in case. I mean how like what part of the stage can you start prepping this as a just in case. Richard Hershey: 00:54:39 Well you know there needs to be the risk that the transaction can not go forward. Richard Hershey: 00:54:44 So the term that the lawyers like us to use is called contingencies. So as long as there are still outstanding contingencies that are significant that can result in the risk of the transaction and then we can do our work. So the attorneys make that assessment and the tax attorneys are very good at providing information and they'll give you an initial assessment say while you're too far you've missed some of these deadlines or you're too far past what the IRS is comfortable with and allowing. Richard Hershey: 00:55:13 So let's just assume that the contingencies and things like that that are necessary you can bring us in any time typically you can bring us any time prior to the close of escrow is generally going to be acceptable. Richard Hershey: 00:55:30 If you're in the upper leg down leg process you're in what we call the identification period that 45 day window. It's a little bit more difficult sometimes to execute it it's not impossible it's just more difficult. And there are instances that even if you get that 180 day period and the deal just falls apart and you're just you're just stuck. There's been some situation where we've been able to resuscitate and or not resuscitate. But at the same. Yeah and again you know I'm always fond of saying I'll tell a quick story My son is an attorney and you know he came home all excited about law school and the very beginning and he said Dad I learned everything I need to know about law school and I'm like great I said all the money no more tuition. Tom Clary: 00:56:15 Exactly. Help us. Richard Hershey: 00:56:17 Help us help understand exactly what happened right. But what he said was that you know the professor was up there and said I'm going to teach you everything you need to know about law school today and I OK creates all these kids. You know what is he sense is it's this simple. No matter what question you get asked the answer is always it depends. I mean that's it. Those are the words of wisdom. There's Moses speak in ninth grade and then he explained he said because two there are two reasons you're never wrong and it always leads to billable hours. Richard Hershey: 00:56:51 Another Converse's other mail that's a lot more sense than billable hours than I think they all felt much better about their their tuition requirements after you go. Tom Clary: 00:57:02 All right. Well any any final takeaway that you want to make sure that everybody kind of knows or understands. Before we wrap up yeah. Richard Hershey: 00:57:08 Tom it's been a pleasure to talk to you about this and hopefully make some of your listeners interested in learning a little bit more. Again the intent of the conversation here today is you know just to kind of get this out there and let folks know that there are some alternatives to attend 31 exchange. Obviously we want you to take the care and the guidance and wisdom of your own tax people and have them contact us and learn more about it. But like I said this is a tax code that exists that section 453 of the tax code the legal part of the trust part of it is called a business purpose trust and it's the combination of those two things that really make this work. You know I use my name as a joke when I give an example. You know what the name Hershey. You can imagine all the questions I've been asked every time. And obviously there is no relationship. But you know 100 years ago there are two to salesmen on the on an elevator going up to see the candy wizard and you know one of them was selling chocolate and the other one was selling peanut butter. And during the trip up to the sales floor the elevator hiccough and they bumped into each other. And you know the end result was the peanut butter and chocolate mixed and created something called the Reese's cup. Right. So the deferred sales trust is very similar in that it's really a combination of two different techniques. One is utilizing the technique of an installment sale and the other one is utilizing the technique of a business purpose trust. But Tom it's important that it's the it's the sequence of how each one of these are used that yields the end result. Either one of these by themselves would not be able to deliver the benefit. Again a tax deferral right that we met that we talked about earlier. So again thank you so much for the opportunity. I look forward to anybody responding to this when we just go right here and tell us where your contact info is so we can get in touch with you. Great. Well I have a Web site and the name of my company is the same it's we reduced taxes dot com and I have a video that's there that's on the home page that explains. Tom Clary: 00:59:19 And let me interrupt here it's a very informative one and I learned a lot from the video that was there so I really think everybody should check that out. Richard Hershey: 00:59:25 Thank you so much. So again it's we reduce taxes dot com I encourage you to watch the video. We do provide additional information. I have a free report that's available and there is an opportunity on the sign up page on the Web site if you'd like to get our free report we're happy to send it to you. We're more than happy to work with your tax advisers your financial adviser or real estate consultants and things like that. We are you know we are a tool to compliment your team. We're not in competition with anybody that you that you currently work with and trust. We're just an additional resource that maybe they're not familiar with. Great. So just go to the website and all the information is there it is and I appreciate the opportunity again to share. Richard thank you so much for coming here. We really appreciate it. Thanks. Tom Clary: 01:00:09 Well that's about it for today. If you have any questions or comments please don't hesitate to leave them for us on our Facebook page Facebook dot com slash clarify the podcast all one word. If you have any questions about real estate or you're looking for someone to help you buy or sell a home remember I'm actually a licensed real estate agent. I'd love to help you out so please email me directly at Tomich clarified realty dot com or give me a call at 8 1 8 3 3 5 7 6 6 2. Don't be shy guys monogamy ring. For more exclusive bonus content and advice between episodes. Please check out our website via dot clarified realty dot com. Also on our home page you'll find links to helpful buyer and seller guides that can give you guys really really great information for starting your home buying your home seller process. Definitely check those out and here's something we're very proud of. We have a top ranked Lexus skill. So search the Alexis store for the clarifier realty podcast at our Skilton daily briefing and get a dose of real estate news and tips every day of the year. That's right. Every day. Definitely give it a try. I think it's pretty cool. I'm on snapchat. Twitter and Instagram as well. My handle for all three of those are clarified. Please leave feedback and abuse views on iTunes or in the comments section on our page. Together we're stronger. I say this every week folks Guimond to make it together we're stronger so if we have any questions or ways that we can make this podcast better please let us know. My mazing theme song Henao is from the band that's with two. And please go check them out and like them on soundcloud and just a little fine print here. Tom Clary: 01:01:33 My brokerage is Keller Williams in Sherman Oaks. I'm like. I'm licensed by the California Bureau of real estate and my license number is 0 1 7 1 5 5. The advice we give is only for properties located in the state of California or other states. Please contact your local real estate agent. Real estate professional. Well that's. Thanks everything guys. Thanks for coming by and remember the great thing you can ever do is make someone feel at home. Take care.